This tab is for office use and should not be displayed in front of the client. 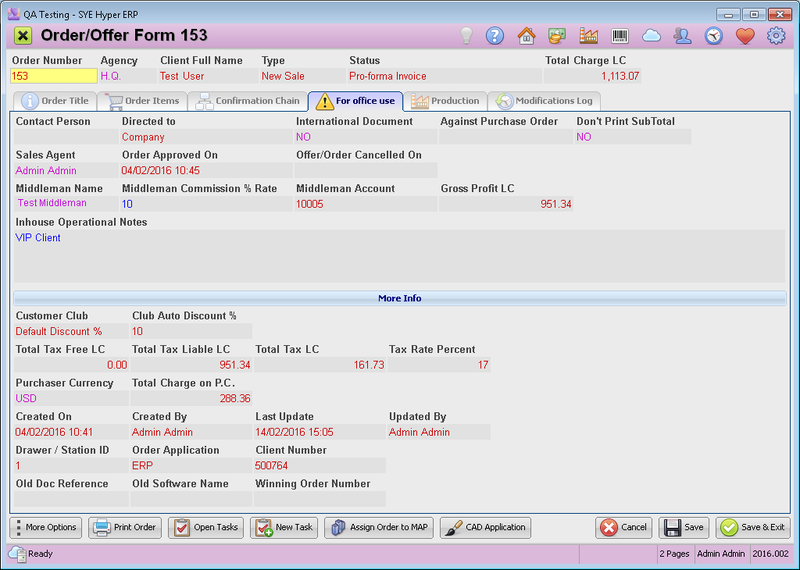 The user can add an in-house operational notes and modify some of the rules for this client (these rules can be different than the rules of the client's card). None of this tab's fields are mandatory. The information fields summarize the order details. Additional information fields can be displayed according to the users needs and requirements.